Geothermal headlines from Idaho, Bolivia, Mexico, Indonesia, Japan, Vietnam and Croatia. 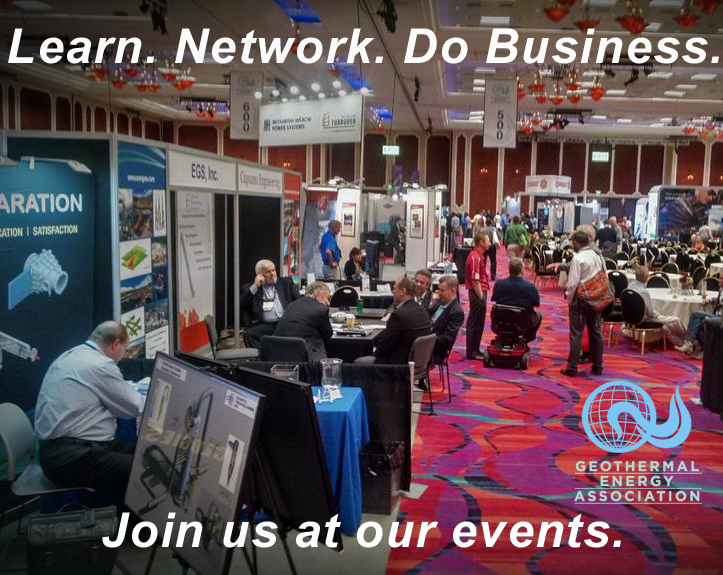 Click below for the international geothermal roundup. Comments closed on October 26 for the scope of the environmental study that the U.S. Forest Service is now conducting at the Salmon-Challis National Forest, Idaho. The study is in conjunction with the Big Creek Geothermal Leasing Proposal by Ormat Technologies. The draft environmental impact statement is expected in May 2016 and the final environmental impact statement will follow in September 2016. BLM previously estimated the site holds 10-20 MW of potential generating capacity. Bolivia is looking to install a 50-MW geothermal plant at Laguna Colorada, estimated for 2019. Nicaraguan power company Empresa Nicaraguense de Electricidad has shown interest in being a part of the project, using Nicaragua’s experience, local press reports. Mexico’s National Water Commission (Conagua) has awarded a geothermal concession to Grupo Dragón, a subsidiary of Grupo Salinas. Grupo Dragón will invest US$2.6 billion for the project at San Pedro Lagunillas, Nayarit. The plan includes 18 operation wells and two reinjection wells at a depth of 3,500 m and is expected to add between 25 and 50 MW to the grid. Customers will be Grupo Salinas, Veracruz, Guanajuato, Queretaro and the State of Mexico. As Indonesia’s government seeks to improve its geothermal law and attract investors, the Energy and Mineral Resources Ministry has denied a tariff increase for geothermal, and instead proposes the Finance Ministry to scrap property tax for geothermal exploration areas. “We want to find a win-win solution,” Yunus Saefulhak, the director for geothermal at the Energy and Mineral Resources Ministry is quoted in local press. Mitsubishi is planning a 15-MW geothermal power plant for Iwate prefecture, in the north of the country, following the conclusion of environmental impact tests and resource assessments in Hachimantai City. The estimated date for the plant to come online is 2022. Government of Vietnam officials including Trương Tấn Sang, President of Vietnam, welcomed President of Iceland Olafur Grimsson for a visit this week. 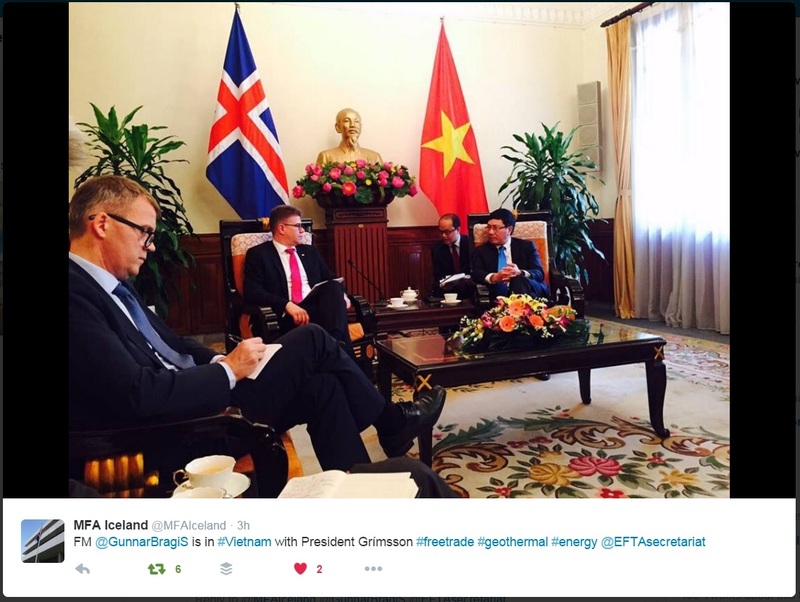 A post on Twitter from Ministry for Foreign Affairs of Iceland (@MFAIceland, photo) suggested geothermal energy was part of their discussion. Croatia’s first geothermal power plant, a 16.5 MW ORC, is expected to be completed and operating by the end of 2016, according to a press release from the company Turboden, which is supplying Engineering, Procurement and Construction of the equipment. “Together with Mitsubishi, we are now focused in offering competitive and winning solutions optimized for larger scale geothermal projects. We are proud that MB Holding selected us to develop together a fully optimized solution for their first project in Croatia. We are confident that, also in this market, we will achieve our goals and further projects will be awarded,” Paolo Bertuzzi, CEO of Turboden is quoted in the press release.